One of my former U.S. students insists that the conservative filmmaker — famed for taking down NPR executives and the liberal activist group ACORN — is not a journalist. She recently asked for my opinion, and I hesitated to reply. I suspect she objects to O’Keefe’s methods — he gathers information through deceptive means and I’m certainly one who frowns upon journalists who lie or mislead their audiences or subjects. But, I think she also objects to O’Keefe’s ideology — but only she knows which objection carries more weight. Earlier this year, two of O’Keefe’s actors, posing as fictitious representatives of a Muslim philanthropic organization, had lunch with Ron Schiller, NPR’s senior vice president for development. In the course of ingratiating himself with these potential donors, Schiller was caught denigrating Tea Party members and Republicans in language that the corporation later said it was appalled by. The scandal hastened the departures of both Schiller and his boss, Vivian Schiller (no relation). When it was suggested that the tapes had been dishonestly edited, O’Keefe invited people to watch them in their entirety. “He said it, that’s just a fact,” Dana Davis Rehm, a spokesman for NPR, said of Ron Schiller. In the aftermath, NPR conducted sessions on ethics for its support and operational staff and is planning to publish updated ethics guidelines in September. I agree. 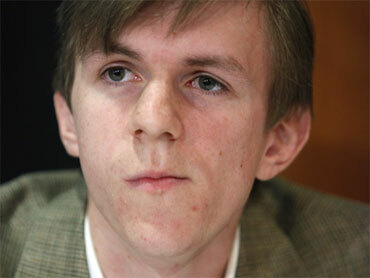 I think O’Keefe’s methods are questionable but not outside the norms of journalism. His tactics looks quite similar to liberal provocateur Michael Moore, and I certainly consider him a journalist as well. But, they both represent a certain type of “muckraking” journalism — one that belongs on the media fringes, not not on the evening newscasts or metropolitan dailies. In the end, these partisan journalists add something to media landscape that their more “objective” brethren can’t. And I’d argue that we’re all better off for it.